As all eyes remain glued to the chaos in the UK over the coming weeks, it is time for political leaders here to put their money where their mouth is in terms of bringing stability. Stability has been the calling card of both Leo Varadkar and Micheál Martin in recent months, and with good reason; it is the very minimum that can be done here at a time when our economy is vulnerable to repeated blows from factors outside of our control. Naturally, both party leaders have different views on what that stability would look like. The Taoiseach says an election in summer 2020 would bring stability. Mr Martin says he will underpin the Government until a Brexit deal is ratified by the UK and Europe – which is now looking like an open-ended offer. Both sides have unsurprisingly rejected the other’s missive and the reality is they will likely meet somewhere in the middle after protracted talks. But there is an impetus now to shorten the process as much as possible. Negotiations on confidence and supply officially began more than a month ago and have yet to turn to the crunch issue of extending the deal in some form. A detailed review has been carried out involving a deep dive of various Government departments to asses what has been delivered under the first deal. Fianna Fáil is now considering the outcome of that review – but it’s hard to imagine how any details revealed could prove sufficient cause to collapse the deal if a good enough reason hasn’t emerged to date. There has been an unshakable sense of foot-dragging with one eye on potential election dates in 2019 and the other on events in the UK. There has been a growing expectation it may be the new year before things come to a head. But with Brexit now officially in chaos and the future looking more uncertain than ever, the only responsible next step is to resolve the issue as soon as possible. 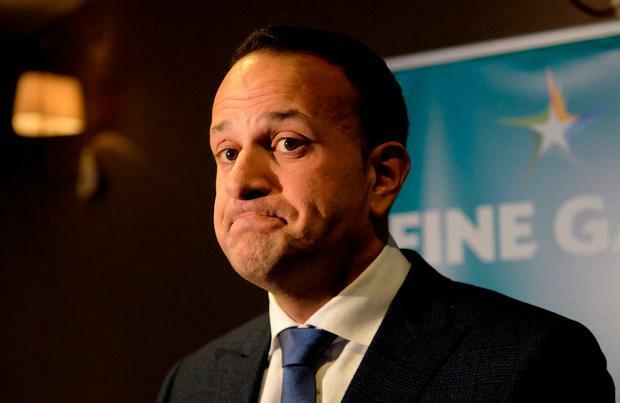 The Taoiseach has suggested a deal could be hammered out in a weekend – perhaps a glib assessment of the timeline but it could almost certainly be done by Christmas. The bedlam unfolding across the water has dwarfed any political advantage that could be drawn from calling an election, or at least holding off for some time until an advantageous time emerged to go to the country. We have watched from afar as the consequences of playing political chess with Brexit play out in the House of Commons and it does not make for a pretty picture. Businesses and Border communities will have watched with dismay as British Prime Minister Theresa May conceded defeat before a vote could be held on her deal. Concerns about the backstop could not be allayed in time but her olive branch to opponents, a pledge to seek further reassurances from Europe on the temporary nature of the backstop, already appear to be going nowhere fast. Even before she sat down that suggestion had gone down like a lead balloon with her detractors, who spent the following hours reiterating their position that the backstop can never be acceptable. The delay to the meaningful vote came without a new date for it to be held – UK Trade Minister Liam Fox suggested he would rather see the vote after Christmas than see it rushed through. A maze of routes out of the current chaos opened up with the decision to delay the historic vote – but none of them will put a speedy end to the turbulent impact Brexit confusion has wrought here to date. The endgame has yet to come into focus. In a political climate where almost anything can happen in the UK, we need a clear idea of what will happen at home.